Mobile locksmiths in Easton PA are the most efficient locksmith services in the East Pennsylvania region. We offer 24/7 mobile locksmith services to residents of Easton PA, and surrounding area. Our professional mobile locksmiths in Easton expertise in automotive, residential, and commercial locksmith services. With this in mind, we’re open all days, including weekends, and high holidays. In most cases, when you need locksmith service, you need it in your location. A mobile locksmith can help you better than a local locksmith shop. When you call a mobile locksmith, the locksmith technician arrives to address your locksmith needs on site. 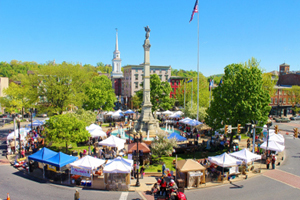 Residents of Easton PA can rely on LockTech24/7 to get you out of troubles in no time. If you lock yourself out in the Center Square of Easton, we can unlock your car soon after you call us. Our skilled Mobile locksmiths can do more than open your car. We can do all locksmith services in our mobile locksmith shop. For instance; if you need a car key replacement, we can do it on site. In addition to our mobile and local locksmiths, we have a wide stock of inventory and security hardware. As you’ve read above, not only LockTech24/7 mobile locksmith can service you at your location, but we also can do everything from lockout to security upgrade. For the purpose of of serving you well, we have 2 keys cutting machine, as well as all the tools and equipment that needs to perform the job, at the first time. We’re serving the Lehigh Valley from Easton to Hamburg PA. As well we serve the area from Bangor to Kutztown PA.
With this intention of service area, please call us to find out if we can help you out. As you can see above, we can help you with all kind of locksmith services. Don’t hesitate to call us when you need a locksmith service in Easton PA. And please remember, whether you’re in Allentown, Bethlehem, or Easton, we can help.